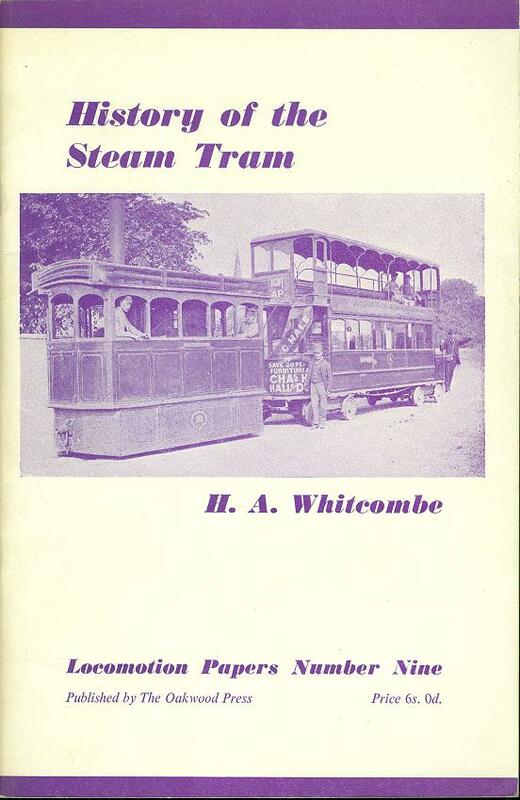 History of the Steam Tram (Locomotion Papers No. 9). whitcombe, H. A.. The Oakwood Press, 1961. 1st Edition. ISBN: . 30 pages. 65g. stapled soft card covers a little darkened and edge-rubbed. Near FINE with the contents tight and clean. Illustrated with b/w photographs. A reproduction of the authors paper presented before the Institue of Locomotive Engineers in 1937.